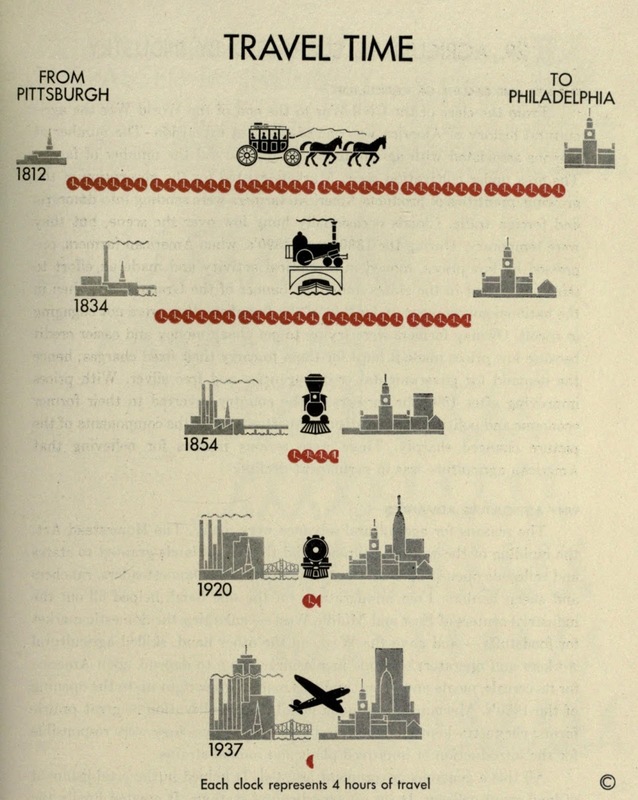 The United States: A Graphic History (1937). Text by Louis M. Hacker. Pictorial statistics by Rudolf Modley. Statistical research by George R. Taylor. The United States: A Graphic History is a work in the economic history of the United States; but it is not written for the specialist or specifically for the class room. It has been prepared for the literate adult American in a vocabulary which, it is expected, will not be the despair of those who have not had university educations. Its text is brief - it is not more than 60, 000 worde in length. The visual aids employed, pictorial statistics in this case, are an intergral part of the book rather than simply as illustrative material. Mechanically, the book is everything one might wish; its type-faces are clear and easy to read; the book's bulk is not excessive; and its price is low.